Should You Buy a House Without a Realtor? Can I buy a house without a realtor? That’s one of the decisions you’ll have to make when you begin the home-buying process. A buyer’s agent can help you find the perfect property and negotiate with the seller for the best price. But millions of people have bought their homes without the help of an agent and thanks to the plethora of online real estate tools and information, more homebuyers are choosing to go the solo route. Using a buyer’s agent doesn’t guarantee you’ll save money. In some cases, you could actually end up paying more out of pocket. A seller and his/her agent who’s forced to pay the commission of the buyer’s agent might just raise the selling price to compensate. Also, some buyer’s agent agreements include a clause that says that the agent gets a commission on any home purchase – even ones where you found the listing yourself or the seller refuses to pay the buyer’s agent commission. In contrast, if you buy a house without an agent’s assistance the seller might be willing to negotiate and lower your purchase price. You might be better off doing your house hunting yourself if you feel comfortable speaking with sellers and you have time to find listings. To get started, you can come up with a way to keep track of the homes you view and the information you gather while visiting them. 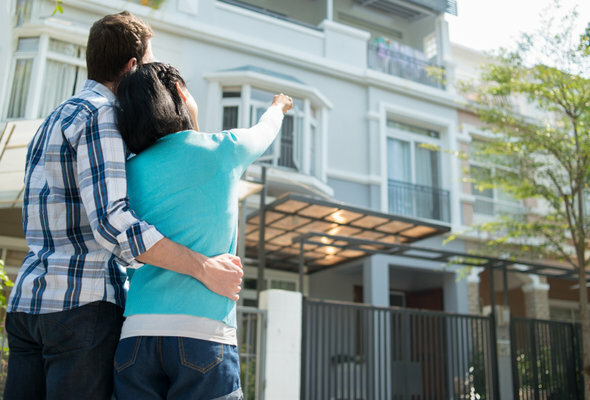 Before you begin looking at houses, it’s important to get preapproved for a mortgage loan. That way, you can increase your chances of being able to buy the home you want. Once you’ve found a house you like, you’ll need to write an offer letter to express your interest in buying it. A professional home inspection can give you insight into the state of the home you’re interested in buying and the kind of repairs that might need to be done. Finding listings and touring houses with you. Agents may be able to give you access to more listings (including those that are For Sale By Owner). They can also help you avoid paying too much for a property. Negotiating the price and sale conditions. Your agent can serve as a liaison between you and pushy sellers or seller’s agents. Recommending services you’ll need. An agent can connect you with mortgage lenders, home inspectors and other professionals you may need to work with. Helping with all the paperwork involved. Because really, who loves doing paperwork? In return for these services, the buyer’s agent typically earns a commission between 1% and 3%. As the homebuyer, you may not have to pay this, since home sellers usually pay the buyer’s agent fee. If you’d rather not buy a house on your own, you’ll need to decide what kind of buyer’s agent you want to work with. An exclusive buyer’s agent will work solely with you and won’t take real estate listings of any kind. Agents that declare “dual agency” work for both the buyer and seller. But that could be a conflict of interest. To find an exclusive buyer’s agent, you can check out the National Association of Exclusive Buyer Agents. Their website can give you a list of real estate professionals in your area if you can’t get a referral from friends or family members. Before you begin working with your agent, there will likely be a contract you’ll have to sign that outlines what you can expect from your business relationship. It’s a good idea to read the contract carefully and negotiate the terms if necessary. Asking your buyer’s agent follow-up questions will give you a better understanding of what to expect from your partnership. Prior to signing the agreement, you may have the chance to request a seven- or 30-day trial period so you can figure out whether you should go with the agent you have or find someone else. Regardless of whether you decide to work with a buyer’s agent, it’s a good idea to be as informed as possible. If you’re trying to understand the home-buying process, it’s important to read all contracts carefully and use tools like our down payment calculator to get a sense of how much a new house might cost you. You might also want to talk to a financial advisor about how buying a house might impact your budget. If you don’t already have a financial advisor, a matching tool like SmartAsset’s SmartAdvisor can help you find a person to work with to meet your needs. First you’ll answer a series of questions about your situation and your goals. Then the program will narrow down your options to three fiduciaries who suit your needs. You can then read their profiles to learn more about them, interview them on the phone or in person and choose who to work with in the future. This allows you to find a good fit while the program does much of the hard work for you.